Berkeley actor Robert Sicular has seen theater in the Bay Area evolve over the course of his decadeslong career as a thespian. Brianna Combash, a Berkeley resident who was struck by an Amtrak train March 27 while riding her bicycle, died at the age of 31. The Berkeley Mental Health Commission voted Thursday to approve a three-year plan for spending on programs for mental health in the Berkeley and Albany areas. 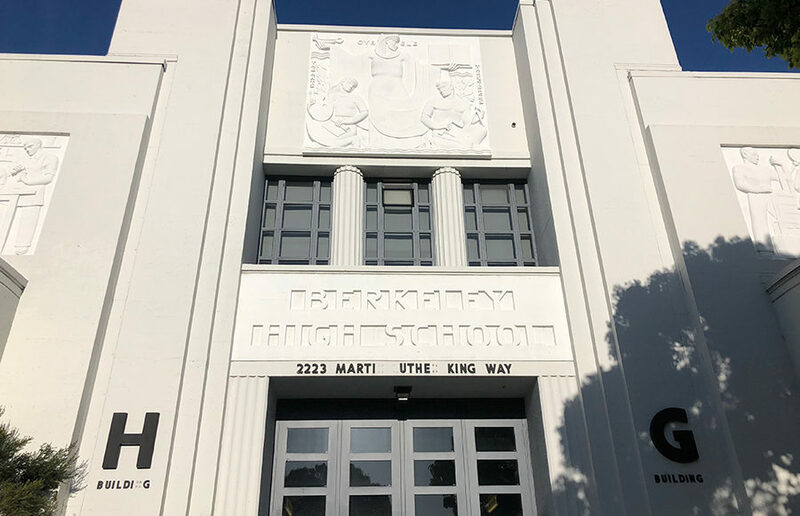 The Berkeley Unified School District School Board unanimously passed a motion at its meeting Wednesday evening that will allow REALM Charter School to continue using facilities at 1222 University Ave.
Members of BHS Stop Harassing piled into the Berkeley Unified School District board meeting Wednesday to protest the district’s policies and processes regarding sexual harassment and assault. Like many school districts across the nation, concerns about school safety after the shooting at Sandy Hook Elementary has prompted the Berkeley Unified School District to reassess and improve safety measures at its 20 schools.